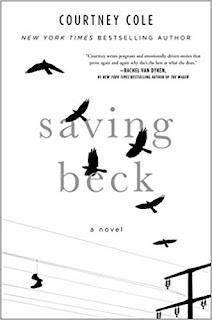 I opened the cover for Saving Beck by Courtney Cole and read the summary on the inside. I stood there for a few moments, re-reading it. As the parent of three teenagers and a fourth one following rather closely behind, this book scared me before I even read a single page. I suppose there’s a worry that every parent gets when their children get to the age of making their own decisions. Will they make the right ones? We don’t always. That’s just a fact of life. However, what happens to the person who makes the wrong choices and what happens to their loved ones? Natalie Kingsley is the single mother of three children. Her beloved husband, Matt, was killed in a car accident where her son, Beck, was driving. Her son survived, but the scarring left behind would lead to dark days for the young man. His mother, lost when her husband died, left the children to their own devices. This lead to her son, Beck, fixating on his part in the death of his father and attempting to escape through mind-altering substances. We first meet Beck and Natalie as Beck shows up on her doorstep after weeks or months missing. He is barely coherent and falls into an overdose stupor. His mother has him rushed to the hospital where doctors fight to save his life. From the point of their arrival at the hospital, we start to get bits and pieces of what has happened to the both of them in the year since the accident. We are given alternating chapters from Beck’s and Natalie’s points of view of their history since the accident. Guilt wracks both narratives. We see the dark side of a seemingly almost endless tumble into the darkness of heroin addiction, and the hopelessness of heartbreaking loss. In the end, the stories merge into present time. All the dreams that each have during the time Beck is in a coma seem to be heading towards fruition. I read this book in a single sitting. Once I started, I simply could not put it down. The story was engaging, especially Beck’s part of the story. I wanted to make sure that he made it through his overdose, and I wanted Natalie to overcome the incredible sorrow she felt after her husband’s death and remember she had children who needed her. Courtney Cole wrote a concise story that engages the reader and keeps them turning the page. Her words paint a picture that is far richer than the simple words used. It is an important story that affects more and more people every day. Cole took a current event and put it directly into the public mind in a way that might be a bit more relatable than an anonymous story in the paper or on the internet. 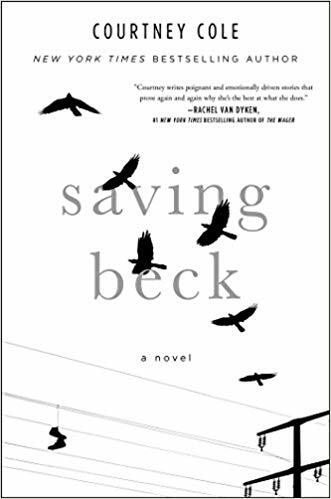 Saving Beck by Courtney Cole was a timely tale that opened my eyes to some of the darkness that accompanies addiction. Not every addict is the stereotypical waste that so many people assume. Sometimes, they are someone who’s lost and needs a little guidance. This novel brought some stark realities home in an engaging way. I highly recommend reading this book. It will be a quick, easy read that will keep you turning the pages. Craig Bacon is addicted to reading. That’s an easy one to handle, although his wife sometimes gets annoyed at the piles of books around the house.